On January 6 Alibaba announced a revamp of its TaoProtect online policing system which applies to its online sales portals www.taobao.com and www.tmall.com. Both are Chinese-language trade platforms, the prior ostensibly C2C and the latter B2C. Under the new rules, when take effect April 1 2015, semi-automated procedures will be introduced for filing takedown requests against infringing ads – although question remains as to whether they will only add to the administrative burdens of rights holder. In addition, new standards have been announced that will allow brand owners with a good history of accurate reporting against infringers to achieve more timely attention to their takedown notices. Under the revised TaoProtect system, IP owners will be required to categorize each infringement under specified categories using drop-down menus setting out specific options. However, it appears IP owners will remain obliged under the new rules to provide a separate written explanation as to why a given ad is objectionable. Depending on the categories of infringing conduct selected, IP owners will also remain obligated to provide additional documentation to support their complaints. For example, in the case of an alleged counterfeit product, a brand owner will be required to provide a written verification report. As such, the new system is likely to increase the time and resources required for IP owners to file takedown requests. Alibaba has also introduced a new system for Taobao.com and Tmall.com referred to as the Good-Faith Takedown Mechanism (trial). This mechanism appears to mainly codify existing Alibaba practices intended to reward IP owners with a solid history of filing accurate and concise takedown requests. Under the new system, complainants will be classified into three categories, with the timeframe for processing and takedowns being more favorable depending on the category (see table). The timeframes indicated exclude the time required by Alibaba to review and verify the documentation submitted. If a complainant is categorized as “good” but is later is downgraded to “normal” or “poor” in a later month, it will be barred from re-attaining “good” status for the next six months, regardless of its performance over that period of time. The categorization for each IP owner will be automatically reviewed and potentially revised by Alibaba each month. IP owners will be able to access and review their rating via TaoProtect. It is unclear at this time whether ratings will be publicly accessible. The new categorization appears largely based on pre-existing Alibaba standards which were not published. Their disclosure appears mandated by new rules issued by the Ministry of Commerce (MOFCOM) that requires greater transparency in the IP enforcement work of trade platforms. 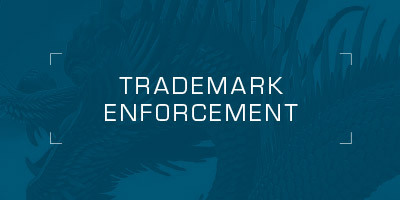 Another development that may have an impact on the speed with which Alibaba is able to process takedown requests is the increase in the number of counter-notices filed by alleged infringers. Many of these counter-notices appear to be filed by counterfeiters to impede the takedown process and/or out of spite. Over the last year, some brand owners, operating under separate detailed MOUs with Alibaba, were permitted to file takedown requests without providing detailed reasons. It is also rumored that Alibaba may have plans to extend this practice to other brand owners over the course of 2015. If introduced, such a program would likely be extended to only a small group of brand owners with unique issues and a good track record.